Luteolin is a flavonoid characterized by its yellow-green color. It is primarily produced among plants for their pigmentation properties; although this does not in any way suggest that luteolin does not offer any health benefits. The bright, if not garish hue, is indicative of the compound’s anti-inflammatory agents which you may glean from its dietary sources such as celery, green peppers, artichokes, thyme, parsley, and oregano. Luteolin is one of the few flavonoids that is not readily absorbed by the body. As such, it may — when taken incorrectly — disrupt certain hormonal functions and cause colon inflammation. It is best to speak with one’s medical practitioner or wellness expert before taking any luteolin supplement. It must also be stressed that there are a few (but important) studies which have implied an increased vulnerability to certain types of cancer, such as leukemia, when taking luteolin. While these studies have yet to be substantially proven over a series of reviews, people must practice caution when supplementing with this compound. There is a wealth of evidence that prove the efficacy of luteolin in cancer growth interference. The specific flavonoid works by inhibiting the growth of new blood vessels in tumors, effectively stopping the progression of the cell cycle and inducing apoptosis (cell death). Mice studies have shown that luteolin was particularly efficient in reducing tumor growth in ovarian cancer cells. This may have to do with luteolin’s specific relationship with estrogen — an association that is yet to be fully understood. There are also studies that have observed the compound to be effective in inhibiting reactive oxygen species (ROS), which are agents that damage lipids, DNA, and protein. By reducing the amount of damage made by these scavengers, luteolin may prove useful in immune system health. Luteolin is often used as an additive treatment for brain damage caused by inflammation. The compound functions by reducing glutamate levels and enhancing the function of the hippocampus. This has been proven time and again in several animal studies — prompting scientists to believe that luteolin can have massive anti-amnesic effects against amyloid toxicity. Doctors still need to prove if this holds true among humans, however. Luteolin may likewise be used to prevent various bacterial diseases. The compound is a powerful antiviral agent and can reduce the number of harmful viral strains that could contaminate the body. One Japanese study showed that luteolin can reduce the number and severity of the Japanese encephalitis virus. This inhibitory effect can also explain why many doctors suggest using luteolin to alleviate symptoms of multiple sclerosis. Moreover, luteolin can be used to prevent medical depression. As scientists begin to understand this mental illness, genetic and physiological factors are being taken into account. One factor that is noted to increase the likelihood of depression is endoplasmic reticulum stress, which is when neuronal cells undergo death due to extreme stress. Luteolin supposedly stops this from happening, allowing the person to better cope with environmental stresses better. Luteolin keeps your entire body working at its most optimum state. By reducing the damage caused by free radicals, as well as shielding different cells from outside damage, the compound ensures overall well-being. 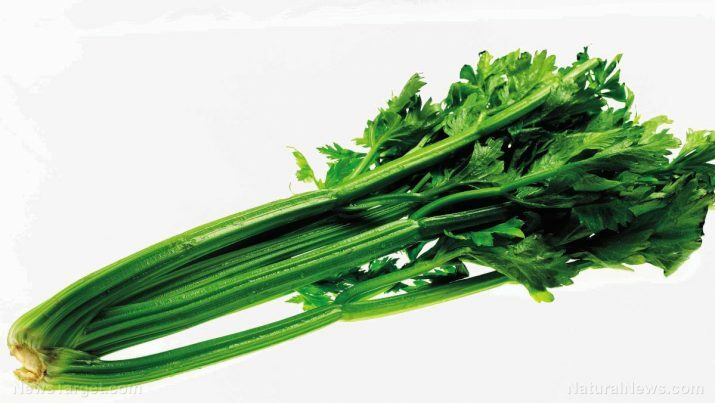 Luteolin is the pigment that gives foods such as celery and parsley their lovely, green color. As a member of the flavonoid family, it also is a powerful anti-cancer agent. Excessive intake of this compound though may result in gastrointestinal distress.